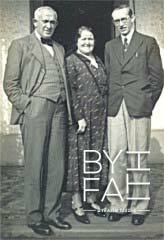 Rees Howells, Intercession, Revival and the Bible College of Wales. Christian. 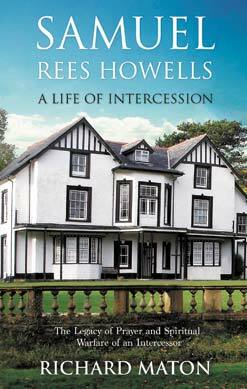 The story of the continued intercessions at the Bible College of Wales are told in the sequel to Rees Howells Intercessor, called Samuel Rees Howells: A Life of Intercession by Richard Maton Go. The story of the Bible College of Wales is also told in the book Samuel, Son and Successor of Rees Howells by Richard Maton Go. Both together give a fuller picture of the legacy of Rees Howells. 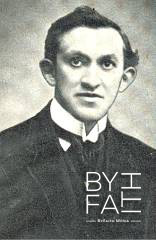 Once the Holy Spirit took possession of him in 1906, Rees Howells, a Welsh miner, was led deeply into a ministry of intercession for many situations including healing, conversions and to challenge death at home and abroad on the mission field. These short video clips were filmed in Wales, UK, where Rees Howells used to walk in prayer and at the Bible College of Wales, which he founded, where he led his team of intercessors into costly battles of intercession. 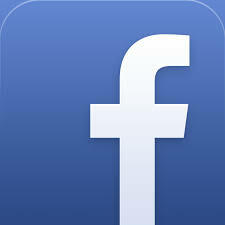 (After pressing play videos will flow automatically, or you can press the next button. Any videos after those listed are not related to ByFaith Media). After several years of working at one of the hardest jobs a man can do - down the mine, cutting coal, he received a call to come out from wage earning. Rees Howells declared in obedience, "I do believe You are able to keep me better than that mining company." This was the beginning of forty years of praying for thousands of pounds and abundantly proving the Lord's prayer, "Give us this day our daily bread." The photo to the right is of Samuel Howells, Elizabeth Howells and Rees Howells. In December 1910, Rees Howells married and later he and his wife received a call to be missionaries. This would mean leaving their newly born son Samuel at home to obey this call. Samuel would grow-up to become an intercessor and the story of his life of intercession is told in the book Samuel Rees Howells: A Life of Intercession Go. For Rees and his wife, they left Samuel in Britain, and after this long and hard death experience they both left for Southern Africa. 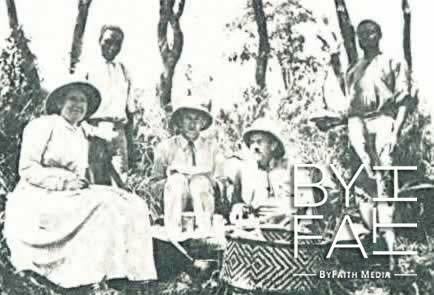 Rees Howells was touched deeply by the Welsh Revival, and when he and his wife arrived on the mission field at Rusitu, Gazaland, the fellow missionaries knew they had come from the land where revival had been, and straightaway asked if they had brought the blessing with them! Rees Howells told them, that the source of all Revival is the Holy Ghost, and that He could do among them what He had done in Wales! The following Thursday, while on their knees in prayer, the Lord spoke to Rees Howells, telling him that their prayer was heard and that revival was coming. They waited, as in the days before Pentecost, and then - He came. In the meeting the whole congregation were on their faces crying out to God; like lightning and thunder the power came. 'You can never describe those meetings when the Holy Spirit comes down' wrote Rees Howells. Whilst seeking the Lord for Revival blessing in other areas the Lord brought revelation to Rees, 'I was pleading His word, Malachi 3:10, "And try me now in this," says the Lord of Hosts, "If I will not open for you the windows of heaven, and pour out for you such blessing that there will not be room enough to receive it." Then I saw the Holy Ghost descending on all the mission stations,' he wrote. The vision came to pass and thousands received Christ. I saw the Holy Ghost descending on all the mission stations. Holy Spirit Power! Knowing the Voice, Guidance and Person of the Holy Spirit. Inspiration from Rees Howells, Evan Roberts, D.L. Moody, Duncan Campbell and other mighty channels of God�s fire! Who is the Holy Spirit and how can you walk in His power? Jesus walked in the power of the Holy Spirit and declared His disciples would do even greater works (Luke 4:14, John 14:12). Today, God�s power can still be released in and through Christians who will meet the Holy Spirit on His terms. Together the founders travelled eleven thousand miles from one mission station to another. The Revival blessing remained with them from then on in their missionary endeavour. 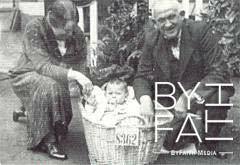 After the past blessing the founders believed that they might be led into a worldwide Revival ministry. But the Lord showed them clearly that His plan was different. 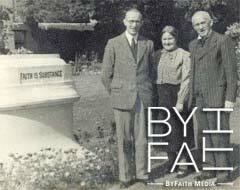 They were commissioned to build and sustain the largest Bible College in Wales by prayer and faith alone. At that time, the founders had only two shillings, (ten UK pence/ fifteen US cents). The founders had only George Mueller (who needed ninety pounds Sterling a day), Hudson Taylor and the Old Testament Prophets to lead by example. 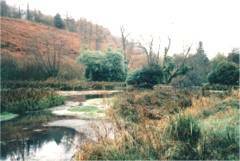 The first estate bought by faith for the College was Glynderwen. Buying this estate was a test case against the Church of Rome who also wanted the property. The Lord provided the money instalment by instalment. The cost price was £6,300, but the Lord showed Rees to pay no more than £6,150. 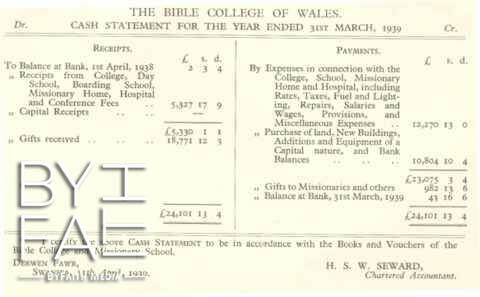 After a long battle and many tests of faith, where it looked like the Church of Rome would get the property, the owner dropped the price by £500 and the Bible College of Wales (BCW) was born! The College was dedicated on Whit-Monday (Easter) 1924, hundreds gathered in the grounds for the special service, during this time of commercial embarrassment and scarcity of money. Long articles, describing the unique event were in the newspapers. The press called it, "God's College" and it was, for the funds had come from Him. At one time over a hundred and forty students were in residence and one thousand meals were prepared a day! The finances that were needed repeatedly came in at the very hour of the need. The second mansion the founders were called to obtain was Derwen Fawr. This was one of the most desirable estates in Swansea. At first the solicitors clerk declared that, "Derwen Fawr is sold" (to another party); the director announced, "Derwen Fawr is not sold! God's Word can never fail." After another test of faith, God intervened and the College purchased their second site. The time soon came for yet another advance of faith. 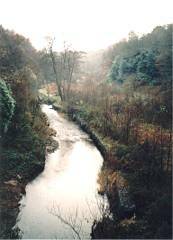 This came with the call to purchase Sketty Isaf Estate which was adjacent to Derwen Fawr. Mr. Howells was reading about the life of Dr. Whitfield Guinness of the China Inland Mission, and how no-one offered his children a home during the School holidays. Dr. Whitfield said this caused him more heart agony than any persecutions he had endured in China. The Lord used this to bring home to him the need for a home for missionary children. The Lord said, "I want you to make a home for every child of missionaries who cannot be taken back to the field." 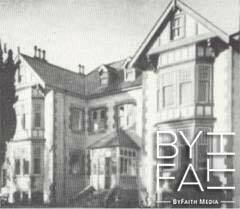 Out of this time of travail in prayer came a home for and school for missionary children. Later the school was opened to the public because of the high demand for top schools in the area. Sketty Isaf was sought after for this reason. Without money or an influential supporting committee, no sane man would have undertaken such a gigantic scheme of buying a third estate, unless his faith was fixed unshakeably on the Faithful, Almighty God. Sketty Isaf was purchased for £3,000. Only in a falling market, in days of depression could such a house and grounds be bought for such a low price. God's timing was perfect. 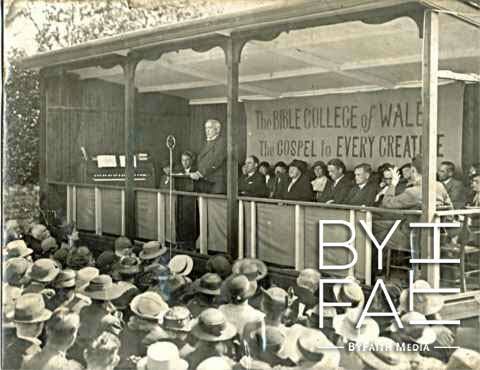 The founders of the Bible College of Wales dedicated their lives to be an object lesson to all, of what can be achieved by prayer and faith alone; their aim was to teach men and women that it is safe to trust God's Word and His promises. 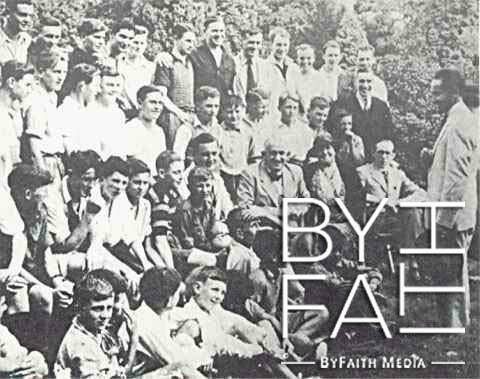 Below is the cash statement from 1939, showing God's faithfulness to obedience. He dressed and went downstairs. There the Lord asked him if he believed the Saviour meant His last command to be obeyed? "I do," he replied. "Then do you believe that I can give the Gospel to Every Creature?" "Without stretching a point," he answered. "I believe You can do it, You are God." With the assurance of the Holy Spirit's indwelling, Rees Howells came out from his room a man with a vision and a burden that never left him. to serve others who go. 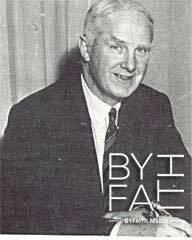 Rees Howells brought it before staff and students, and New Year's Day 1935 was given to prayer and fasting. The task ahead was clear 'to intercede, to go, to serve others who go, to be responsible for seeing that Every Creature hears the Gospel.' Through this they began to be open for God to lay any prayer upon them which would further the reaching of Every Creature with the Gospel. They became responsible to intercede for countries and nations. The College became a house of prayer for all nations. From the time of special dedication on March 29, 1936, when so many of the College, both staff and students, laid their lives on the altar as intercessors, the Spirit was at work in the College. The climax and consummation came in the New Year of 1937. The following was taken from an account made by Dr. Priddy, a senior staff member. It was the 'Pentecost' of the College, from which emerged not a loosely linked company of consecrated individuals, but a body in the full sense of the term, with one life and one purpose. 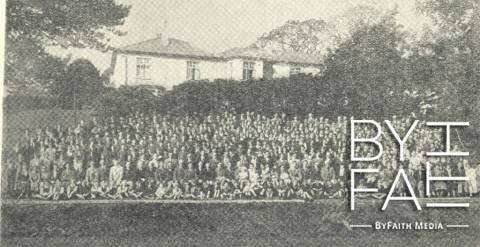 As the College approached the new year of 1937 there was an increasing consciousness of God's presence. The first outward sign that He was working in a new way was when one of the staff broke down in prayer, confessing her sense of need and crying to the Holy Spirit to meet her. Then we heard how the Holy Ghost had so manifested Himself in the glory of His divine person to some of the girl students, that they wept before Him for hours, broken at the corruption of their own hearts revealed in the light of His holiness. He did not come like a rushing mighty wind. But gradually the Person of the Holy Ghost filled all our thoughts, His Presence filled all the place, and His light seemed to penetrate all the hidden recesses of our heart. The revelation of the Holy Spirit's person was so tremendous that all our previous experience seemed as nothing. But when He had come, they were witnesses in Jerusalem, Judea, and in Samaria, and unto the uttermost part of the earth. We had put all on the altar for the sake of giving the Gospel to Every Creature. But now the Holy Ghost said, as Jehovah had said to Moses; "I am come down to do it." As the days of visitation went on, we were just prostrate at His feet. Now He had come to bring the vision to completion. Even the grounds were filled with His presence. Walking around together we suddenly became conscious that we were speaking in whispers. The late hours came, but no-one thought of bed - for God was there. Increasingly we looked to the Holy Spirit Himself, poured out on all flesh as Joel prophesied, as the only One by whom the vision He has shown us can be fulfilled, through His prepared channels in all parts of the world. The fire fell on the sacrifice; the Spirit had sealed for Himself a company of intercessors for Every Creature. We were baptized, as it were, by one Spirit into one body for one God-appointed purpose and this was now one of them. His visitation lasted for some three weeks in this special sense, although praise God, He came to 'abide' and has continued with us ever since." One form that this prayer warfare took was intercession on a national and international level concerning anything that effected world evangelism. 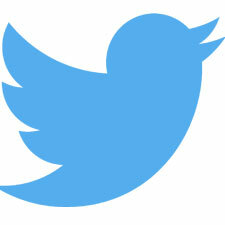 Every Creature must hear; therefore, the doors must be kept open. Their prayers became strategic. They must face and fight the enemy wherever he was opposing freedom to evangelise. God was preparing an instrument - a company to fight world battles on their knees. To the right is Dr. Priddy, a staff member who put his call to the mission field on the altar to serve as an intercessor for the nations. Over the next several years, Rees Howells led the College into a path of intercession and prayer warfare on international levels. These prayers included the crisis with the Rhineland, Ethiopia, Dunkirk, the Battle of Britain, Russia, North Africa, Italy, D-Day, and the intercession for the establishment of the State of Israel. After reading the proclamation by Italy on September 3, 1938, that all the Jews must clear out of Italy within six months and with anti-Semitism so fierce in Germany, a heavy burden for the Jewish people began to rest upon Rees Howells. A burden to see the Jews return to their land rested upon Rees Howells. He saw the need for them to go back to their homeland, which was promised to them by God. 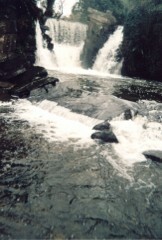 A burden to purchase a fourth estate for Jewish refugees came upon the founder, and the Lord showed him Penllergaer Estate. 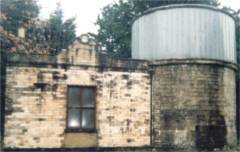 The estate consisted of 270 acres, and within the grounds was a waterfall and observatory; it would cost nothing less than £20,000. After another battle with a syndicate, the college was offered the estate; the price was £20,000 and in hand there was nothing! This dwarfed the previous purchases of faith, but God had so led him on through the years that, where we might think the test would be tremendous, and it was, yet, as one student said, "He bought Penllergaer with less fuss than many a man makes in buying a suit of clothes!" The newspapers reported this 'City of refuge in Wales for Jewish children.' The London newspapers gave it headlines also. After receiving twelve Jewish children, war was declared on Germany, and because the College saw this as a massive unexpected political shift, plans had to be changed. The Jewish refugees could no longer enter Britain. It was another hard test to see the estate bought by prayer and faith alone; then the war came, and they could not take the Jewish children. The Lord told them that they would have thousands of pounds out of it to use for the Kingdom. The M.O.D. commandeered the mansion during the war for the use by American troops. At the end of the war, the mansion was offered to a children's charity, who refused it because of the cost of its upkeep. Many years later Samuel Howells sold it and put the money into the Kingdom. Today the Penllergaer council owns the land, and on the site of the mansion now stands their main office buildings. The grounds are open for the public to walk in. Below are some pictures of the grounds today, the waterfall, river, and observatory. One of the first intercessions that came upon the College as a body was in 1936 when Mussolini intended to invade Ethiopia. The College saw what lay behind this scheme of the enemy. Ethiopia, through the influence of the Emperor, was opening in a new way to Evangelical Missions and there was a prospect of widespread evangelisation in many areas. If the country was captured it could be the end of the Protestant Evangelical witness there. The College was led into a path of deep intercession for the country. On May 5, 1936, Addis Ababa fell, and the Emperor became a fugitive and refugee. Although the country was captured, the College never lost faith. 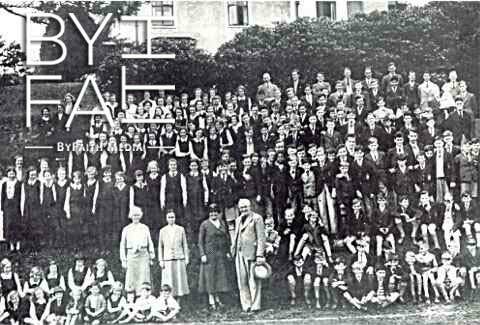 The Emperor came to Britain, and visited the College in 1939 and 1940 as his nephew was a boarder at the school. 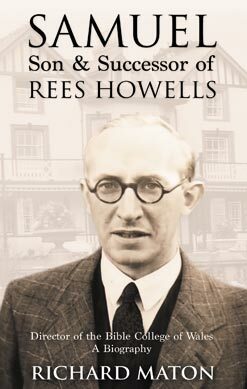 Rees Howells became good friends with Haile Selassie and his son and successor, Samuel Howells remained in contact with him until his death in 1975. Elect of God, Emperor of Ethiopia. It is with profound gratitude that I write to you today to thank you most heartily for all the kindness you have shown me during my visit to your Bible College last week. It is an inspiration to me to have seen all the wonderful things that the Lord is doing among those of your own people and those who have found a refuge in your country. You will I know share in my joy at entering my Capital. I send you this telegram in remembrance of past sympathy and help. Thankyou for telegram. Praising God daily for restoring Ethiopia and giving back your throne. The Lord bless you and keep you and give you peace. Rees Howells, Bible College of Wales. God's answer was perfect. 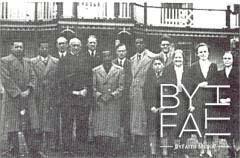 When the missionaries returned to Ethiopia, it was reported in the Wolamo district that they could not account for the Revival, which had been going on during the Italian occupation, when some five hundred converts increased to twenty thousand! God had answered prayer, protecting the Christians and increasing them. When the Communist revolution took place in Ethiopia in 1975, every member of the Emperor's government was executed in one night; the news brought a deep sense of shock and sadness to those at the Bible College of Wales and School. The great growth of the Church in Ethiopia since the 1930s, even as they endured such persecution under Communism, has been an encouragement to again see God's faithfulness in answering the prayers that were offered up at the Bible College of Wales and all over the UK so long ago. Another battle of intercession was about the German air raids in 1940, and the crisis of the 'Battle Of Britain,' when Goering made his great attempt to gain mastery of the air in preparation for the invasion of Christian England. September 8. At first, in a time when the bombing of Britain was causing heavy inflictions upon the civilians, Mr. Howells and the College saw their faith levels raised to believe God, that no bomb would ever fall on any of the College properties, even though Swansea with its strategic docks had some very heavy raids and was less than two miles away. Rees Howells himself declared, "We have never walked this way before." As time went on, Mr. Howells came through to victory knowing that his prayer was answered, not because of selfish need, but because of the work of the Kingdom. In the afternoon meeting he said, "I could put it in print that no devil can touch anyone here." September 10. "After the victory of Sunday there is great liberty to pray that God will really deal with the devil in the Nazis and put an end to this wicked system. Our prayer for London is that God will turn the tide now and save lives." September 12. "We prayed last night that London would be defended and that the enemy would fail to break through, and God answered prayer. If we have protection for our properties, why not get protection for the country?" 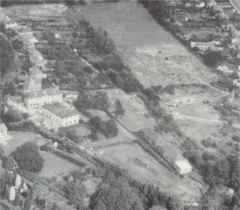 God was faithful and did not allow any bomb to fall upon the College property throughout the war, and hence complete safety was given to all the children and staff. "September 14. "Because we have believed, God has made known to us what is to come to pass. Every Creature is to hear the Gospel; Palestine is to be regained by the Jews; and the Saviour is to return." Mr. Churchill, the Prime Minister of Britain at that time, in his war memoirs, gives September 15 as 'the culminating date' in that battle of the air. He tells how he visited the Operations Room of the RAF and watched as the enemy squadrons poured over British airspace as British squadrons went airborne to do battle, until the moment came when he asked the Air Marshal, "What other reserves have we?" "There are none" he answered, and reported afterwards how grave Winston Churchill looked, "and well I might," added Mr. Churchill. Then another five minutes passed, and "it appeared that the enemy were going home. The shifting of the discs on the table showed a continuous eastward movement of German bombers and fighters. No new attack appeared. In another ten minutes the action was ended." There seemed no reason why the Luftwaffe should have turned for home, just at the moment when victory was in their grasp. But we know why. After the war, Air Chief Marshal Lord Dowding, Commander-in-chief of Fighter Command in the Battle of Britain, made this significant comment: "Even during the battle one realised from day to day how much external support was coming in. At the end of the battle one had the sort of feeling that there had been some special Divine intervention to alter some sequence of events which would of otherwise occurred." Reading the accounts of those days, all will be aware that the College lived on the edge in their intercessions. Many times, in the face of defeat they believed God and declared in faith what God had shown them. Also, the Lord worked miracles, so that what looked like a defeat ended up as a bigger victory and greater glory was given to God, as in the case of Ethiopia. Norman Grubb in the book Rees Howells Intercessor (1952) (commissioned by Samuel Rees Howells) comments on one of these intercessions: 'When we look back now after all these years, many of us in Britain recall the terror of those days. Remembering the miracle of Dunkirk, acknowledged by our leaders to be an intervention from God, the calm seas allowing the rescue boats to cross, The miracle of Dunkirk acknowledged by our leaders to be an intervention from God. Rees Howells had trained over one hundred intercessors who had prayed through with him during the war years. Every one of the intercessors had sold all and lived by faith and whenever there was a crisis, where the Gospel could be hindered around the world, these intercessors would be called to pray. Now Samuel Howells had a team of intercessors ready to intercede for the Gospel to go to every creature and if at any point in the future, the devil attacked the advance of the Kingdom of God around the world, it would be their responsibility to act in intercession under the guidance of the Holy Spirit. During the 1950s, after the success of the intercessions during the war years, Samuel Howells began to refocus the intercession of the College towards the fulfilment of the Great Commission. There were many missionaries throughout the world, but how many of them knew the principles of intercession? How many could pray through until the principalities and powers of darkness were bound? The strongholds of Satan in many parts of the world had been entrenched for thousands of years, now these powers of darkness had to be challenged, dislodged and overcome. If thousands of missionaries were prepared to go to the frontline and sacrifice their lives, then the intercessors at the College would go before them to intercede for victory in the heavenly realms. Samuel had to remind the College that our battle is not against flesh and blood. It was the devil who had �blinded the mind of unbelievers� and only intercession could prevail so these dear people could respond to the gospel. Between 1950 and 2004, Samuel Howells was led into a deep and costly path of intercession. He led the College to pray through and intercede for many crises. There were many great prayer battles and their intercessions changed world events. 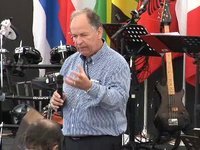 In 2002, Samuel Howells handed the leadership over to Alan Scotland, a former student who was led by God to build an apostolic ministry around the world. Alan Scotland was a student from 1969-71 and then a member of staff whilst his fianc�e, Betty, began her studies at BCW. After leaving the College, Alan took two pastorates before he and his wife founded Lifelink International, which comprises an international group of churches and ministries involved in strengthening churches and training leaders. 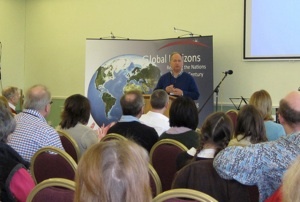 With over twenty-five years of ministry experience behind him and travelling extensively throughout the world, Alan gained a reputation as being a respected pastor to pastors. Throughout the years, Alan often returned to the Bible College of Wales to teach and on one of these visits, the Holy Spirit spoke to him saying, �One day I will entrust you with this legacy.� The sobering affect of what those words meant frightened Alan. For at least seven years, Alan pondered what the Holy Spirit had said, keeping those precious words in his heart. Then one day, Samuel Howells invited Alan to become a trustee at the College. Samuel was greatly blessed by Alan Scotland�s assistance and joined him on a private trip to the bridge where Rees Howells had stepped out into the life of faith. Returning to the location where it all began, Samuel turned to Alan and asked him what the Lord was saying to him regarding the future of the College. �That�s when I shared with him how the Holy Spirit had spoken to me� years before �and the two of us kept that in our hearts for a while� said Alan.